A very interesting article in the Guardian recently proves that our most popular foods are bad for us. To us there is a solution; we must teach our kids about food and cooking if we want them to be healthy and avoid increased tax as the NHS has to deal with increased obesity and diabetes. The article says that half the food we buy is produced in factories with a long list of ingredients and additives rarely found in the average household. 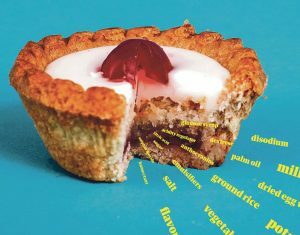 Britains favourite foods are loaded with sugar and salt and stripped of the things that are good for us like fibre. Many also contain additives to make us overeat and preservatives that ‘probably’ do us harm. To compare real food to processed: “For £1 worth of spinach, say, you can get 60 calories. For £1 worth of apples you get 307 calories. For £1 of turkey dinosaurs, you’re getting 730 calories”. And lots of additives. It is very easy to blame our busy lives and the need for convenience for bad eating. The problem is that big corporations simply don’t care about our health and governments have ‘dropped the ball’ as far as providing knowledge on food and cooking. The result is bad nutrition and increasing NHS costs. 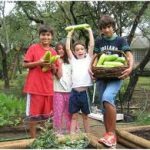 To change we must inform the next generation and have growing, and cooking, healthy food as part of the school curriculum. Our kids will understand what is good and bad and should influence their parents to change. Simple!